There is something special about a pet staying in the comfortable surroundings of their own home. Whether it’s in their special bed or favorite sunny spot, they are less stressed and much more relaxed in a familiar setting. You and your pet are able to avoid the often difficult logistics of transport and travel to a vet hospital or clinic when your friend is close to their end of life. Who Should I Include at the Euthanasia Time? Has your pet touched the lives of certain relatives, friends, or neighbors? 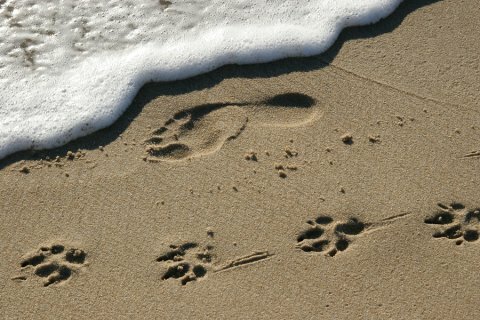 Do they want to be there to honor your pet’s life? Witnessing the change from life to death is a powerful experience and often helps begin the healing process. Because euthanasia is so personal there are many factors that can complicate grieving, so family and friends should be able to choose what is right for them. People often ask if children should be present. If you have made the decision that it would be better for your child not to be present, it is typically advisable that you to let your child know that your pet will be euthanized beforehand so that the child will have a chance to say goodbye to their friend too. If the child is old enough to have a conversation and understand what is happening with your pet, I would advise strongly against hiding the truth about what will happen. This may be the first time they encounter death of a loved one, so by following your example, they will learn a healthy way to say goodbye and grieve. It’s hard to watch your child in pain, but it’s an unavoidable reality that they must face when the pet is no longer around. It is a very personal decision and I think that one of the best thing that a parent can do is to educate the child (in terms appropriate to age) as to what will happen. Other pets can also be present as long as everyone is comfortable. Most will lay quietly out of the way in the same room. The times pets shouldn’t be present is if they are not fond of strangers in their home, if they bark incessantly, or if they are young and being disruptive by trying to play. 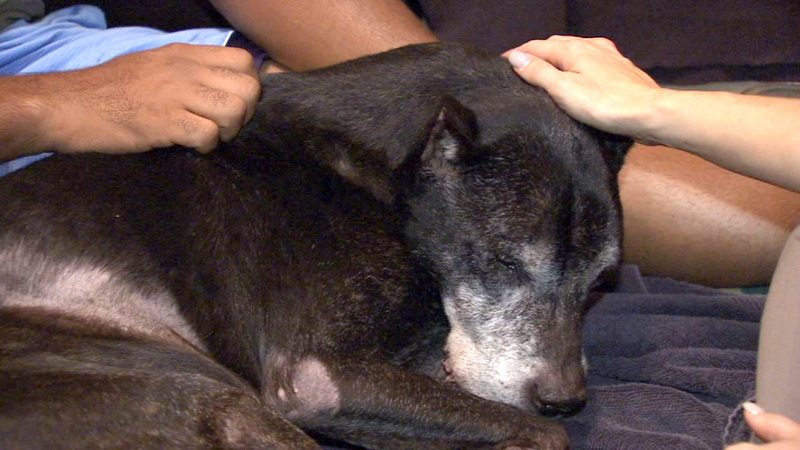 Most adult dogs know when their companion is sick and they know what death is by instinct. 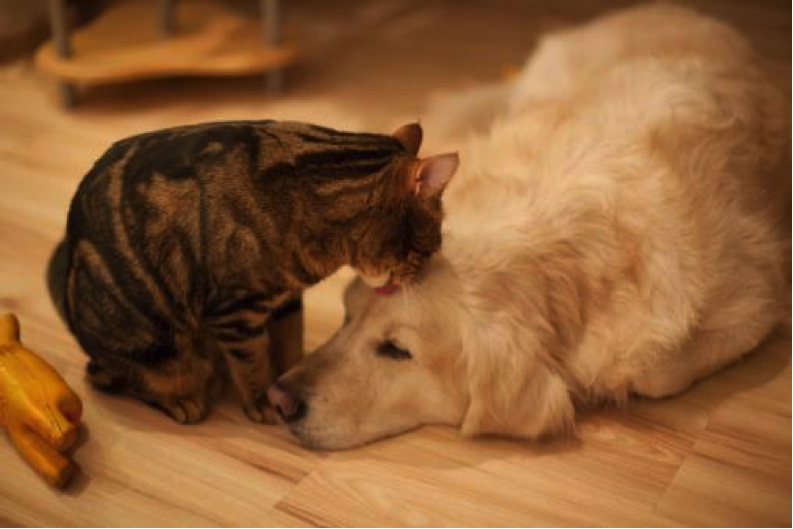 If the other pets can’t be in the same room for the euthanasia, it is advisable to have them sniff their housemate before he or she is taken from the home. Sometimes, it may look like the pet doesn’t care much, but if they see or smell the deceased pet, they do seem to know the pet has passed. After arriving at your home we can discuss all aspects of the procedure, what to expect and any special requests you may have. We will go through the necessary paperwork and complete the payment so that you don’t have to deal with this afterward. Together we will find a spot where your pet feels the most comfortable. Maybe it’s your cat’s favorite spot in the sunlight or it’s in the backyard where your dog always loved to watch squirrels. Or in the family room, which is large enough to have everyone in the family gather around. You pet’s last moments should be as comfortable and peaceful as possible for them. The decision to be present for the procedure is a very personal one. Some people may wish to say their goodbyes then leave, while others may wish to stay through the entire process. Many clients prefer to be present at least until the pet is sedated and unaware of their surroundings, then step away prior to the final injection. When everyone is prepared your pet will be given an injection of a sedative under the skin (much like how a vaccine is given). Generally they will drift into a deep sleep within 5-10 minutes (every case is different and will be handled according to that pets specific needs- some may receive a combination of sedatives to ensure they are relaxed and unaware). Once fully sedated I will then administer the final medication that will allow your beloved friend to pass away quietly and peacefully. If cremation has been selected I will respectfully allow you and your family to spend adequate time after the procedure, then I will transport your pet for cremation, according to your wishes. Very large pets may necessitate some assistance with transfer to my vehicle.